The end of old media? Ofcom’s annual study into the UK’s viewing, listening, internet and communications habits is always worth a read. This year’s tome is no different, with a headline finding that we now spend an average of 20 minutes more every day using technology devices than sleeping. Apparently the average night’s sleep is 8 hours and 21 minutes – which seems an incredibly long time to me, but then I’ve got three kids and a noisy cat. There is positive news on broadband – there are now 6.1 million superfast connections across the country, making up over a quarter of broadband subscriptions. Given the huge amount of money invested by the taxpayer to push superfast broadband to rural areas, this is promising, but the UK still lags behind other countries on targets and speeds. For example, Finland defines superfast as 100 Mbps, while the UK target is just 24 Mbps. And my new shiny rural fibre broadband doesn’t even achieve that, measuring just 21.6 Mbps according to my ISP (when working). TV viewing is less than 4 hours a day for the first time since 2010, at 3hr 52 minutes. But before broadcasters start panicking, bear in mind that this is more than the combined time spent on mobiles, landlines and the internet. The vast majority of programmes are still watched live, despite the rise of catch-up services. People are living longer, so we actually have a growing proportion of silver surfers (complete with landlines), balancing out the younger generation. If they were cutting the cord and just communicating using WhatsApp things would be different, but no sign of that yet. 2. Why would a 12 year old use email? In many ways email is a horrible communication channel – complex, clunky and not real-time. The reason most people use it is essentially for work or to do with boring stuff like complaining at utilities/banks. So, unsurprisingly, most 12 year olds aren’t spending their time slaving at the corporate coalface or moaning at companies. One thing teenagers have always valued is privacy. I remember having to shoo away parents and siblings when making landline telephone calls at that age – now lucky kids don’t need to as they can just use their mobiles. 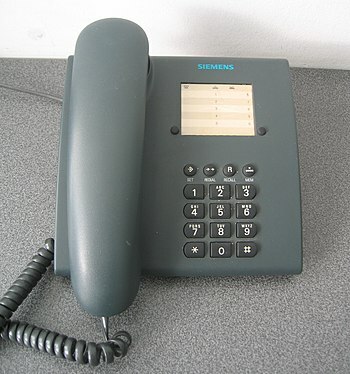 So, again, why would they use landlines when they can call from their bedrooms? So, taken altogether the Ofcom findings show that there isn’t radical change happening in how we communicate – a third of people had sent a personal letter in the last month for example. The only sector to worry should be physical newspapers and magazines, with just 2% saying they’d feel their absence. And even then, this seems a little difficult to believe seeing the number of free papers handed out in London for example. For entrepreneurs looking to set up a business or marketers aiming to launch a new product, the lesson is don’t neglect the old channels in favour of the shiny new ones. Think laterally and improve the experience and you might well be onto a winner. The end to rural notspots? Amidst all the hype about the rollout of 4G and the excitement around fibre optic deployments (note to BT – I’m still waiting, and you said I’d have it in June), the UK has a hidden issue when it comes to communications. 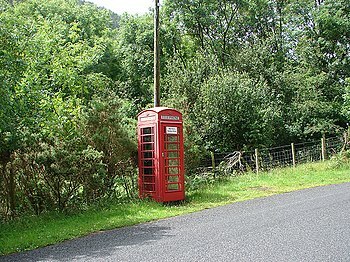 Too many rural areas still don’t have a decent, basic mobile phone signal. In my village, in the middle of Suffolk, only one provider has any reception – and that is just 2G, not even 3G. When the local mast went down for a month last year it paralysed rural businesses, as well as impacting on the lives of local residents. And this is not the Outer Hebrides – I’m less than an hour from Cambridge and Norwich, and 20 minutes from several major towns. Given my experiences, the news that the Government is considering forcing mobile phone operators to share their networks (so called national roaming), to widen choice, looks like a positive move. Putting aside the fact that the starting point for the new rules was apparently David Cameron being unable to get a signal while on holiday in Norfolk, it should benefit anyone living in the countryside. It will help stem the growing gulf between rural communication ‘have nots’ and urban dwellers with 4G and superfast broadband. A similar system operates in the US, which has a lot more challenging terrain than over here. Obviously the mobile phone operators are crying foul, pointing out that they have spent heavily on masts in rural areas, and being forced to share their infrastructure will jeopardise future investment. Frankly, I just don’t buy this. Everywhere else they have competition and somehow survive – after all, most people pick a network operator on price/what you get for your money, rather than “do I actually get a signal?” At the moment they have captive markets that they have carved up amongst themselves, forcing people to choose by postcode, not package. Sharing infrastructure makes it more cost-effective and opens up new markets. Additionally the government has promised £150m to improve areas where there is no coverage at all. The government claims it has big plans to turn the UK into a skills-based, technologically literate society. Entrepreneurship is being encouraged (albeit focused heavily on the media-centric Silicon Roundabout), coding is being re-introduced into schools and infrastructure projects promise faster links between major cities. So far rural areas have been left behind – with high speed broadband projects running late and a lack of skilled jobs hitting local economies. It is time for the government to address these issues or risk creating a two speed economy that deprives those of us in the countryside of the same opportunities open to the rest of the United Kingdom.